Here is what you can expect to find at Aldi’s this week. 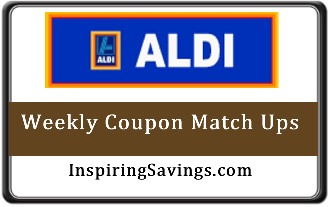 Please remember that Aldi’s prices are different regionally, so be sure to check out your Weekly Ad. Aldi’s Weekly Ad and start dates for sales are based on the map below. Prices will change on Wednesday, Thursday or Sunday depending on your location on the map. In the Northeast prices Change on Sunday!! Find a QUARTER!! Shopping carts are locked up and the only way to release them is by inserting a quarter. You will get your quarter back after returning your cart. Make a list! Aldi’s pretty much covers all the basics that your family will need, however they stock specialty items based on the season. Brand names do exist at Aldi’s, but is very rare. Aldi’s carries their own brand of products. Bring cash or your debit card to make grocery purchases. Aldi’s doesn’t accept credit cards for purchases. I prefer to shop at Aldi’s in the morning, when they stock all their fresh produce. I have found in the evening that the produce is picked over and doesn’t look as well from sitting out all day. Thank you for doing these Aldi match-ups; I never noticed that you did these! I wanted to add that the Aldi on Central Ave in Colonie now does allow for credit card purchases.